Mudanzas Reus S.A. carries out local, national and international removals: it transports the furniture and keepsakes where the client wishes, in its own fleet of vehicles or, if necessary, in shipping companies containers –when a removal to another continent is due. 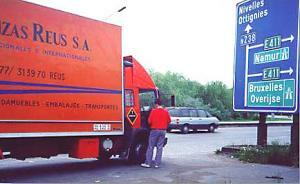 In this case, Mudanzas Reus deals with everything: the hiring of the container, its loading –carried out by our specialized workers-, its transport to the ship, to state explicitly the voyage, the insurance and the collaborating company which unloads the cargo at its final destination exportation transactions. So, so much direct transport is realized as “grupaje” to any country. Mudanzas Reus is also in charge of all the removal procedure: we disassemble the furniture, we pack it, we arrange it carefully in our lorries and, once at its final destination, precisely the same process is started -but the other way round- finishing with the assembling of the furniture. 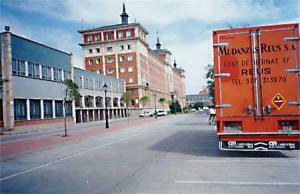 In addition, Mudanzas Reus offers the service of withdrawing secondhand furniture. Should the client decide he/she no longer wants a piece of furniture or any other kind of object, it is also loaded in the lorry to carry it to a special warehouse.